Anyone who knows me knows I forever give my heart to house music, and by extension nu-jazz. So when I come across a band from another country that manages to take the smoothness of electronic-infused jazz rhythms and wrap it around an even smoother vocal, I take notice and more often than not fall in love. 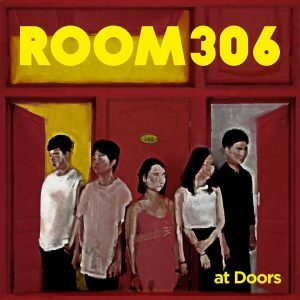 Room306 is one of the most versatile bands I’ve ever come across, but they’re also one of the most straightforward. Though their sound ranges in scope form simple band jazz—all brass and strumming of the upright bass when they perform on stage—they go beyond the scope of the genre, their jazz foundation serving as something of a prism. They push sound through the multifaceted iridescence of jazz and produce music spliced into all the different moods, shapes, and colors jazz has been parsed into since the early twentieth century. It’s always interesting to find bands that were formed from two artists coming together. It speaks to the special connection between musicians that they’re drawn to each other, to the promise of something either completely contrary to what they’re used to, or maybe a step further in a particular musical direction. This collaboration saw singer Hong Hyo-jin and electronic artist First Aid bring their sounds together and meld them into something powerful and full of some of the most enthralling electronic sounds I’ve ever heard come from South Korea. Their debut album So Obvious Stories introduced the world to their brand of elemental soul. As they continued to release music, their sound became broader, more expansive to include the lilt and sway of the parade of human emotions. Tracks like “Wood on Fire” reached for the imagination, conjuring up a landscape of misty woods and a portrait in greyscale, raindrops, a woman reaching her hands to her sides and to the sky to feel the moisture of the melting world. With At Doors this group of musicians showed themselves for the true artists they are. Painters of expression and emotion that bring breath and light to their brand of jazz. They explore the skeletal structure of lo-fi, the multidimensional slant of house music. They wrap crystalline vocals around the discordant warble of blues-tinged R&B, then in the same breath soar into a jubilee with the emotional arch of folk. At Doors is an album much like the band itself: experimental yet grounded in an honest sound. Their performances all speak to a desire to elevate to a higher plain of musical elegance, taking elements from all their influences and treating them as painters do their palette: basic colors melded together to create something exquisite from absolutely nothing. The clarity and strength of Hyo-jin’s vocal and First Aid’s composition seem to be a match made on the highest parts of paradise. The electronic backbone compliments the bright prettiness in Hyo-jin’s voice, accentuating all her angles, dips, and sways. It’s an intricate sound that’s as playful as it is sublime. There’s a hint of mischief in the combination of throbbing electronic and the full-bodied second soprano. A song like “Road Movie” gave weight to their sound, leaning heavily on the emotion of the listener and suggesting something deeper below the surface of their electronic makeup, a throb and ache needing to be filled. That’s what Room306’s music is meant for, I believe: constructing portraits of the world in slow motion, moments slowed down to a crawl to allow you to experience it at its smallest elements. The sound really is magical, something that’s incredibly emotive. Because the basis of the sound is electronic, people may miss just how laden with emotion the music actually is. There’s more in a few moments of a song here than many artists manage to capture in entire albums. I can feel myself becoming one with the sound, actually touching the music, the buzz and heat of it tickling my fingers. This collaboration of artists created music that’s delicate but at the same time incredibly powerful. I was moved by just how dedicated to jazz the band was when performing live that when I heard their in-studio work I was blown away. I was brought back to artists like Koop or even Zero7 at some moments: jazz that’s broken down atom by atom and reconstructed into something equally smooth but built like something from a different dimension. That’s what I imagine Room306 as—artists from a different galaxy bringing their watercolor and mood sounds to the inhabitants of earth.